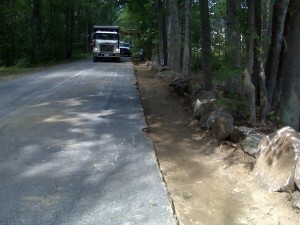 With thousands of feet of residential roads built in the last several years, we have the capacity to handle any size road that you may be developing. 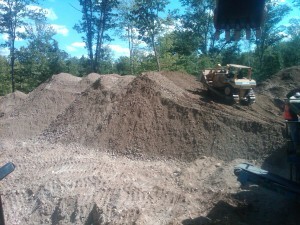 Past projects have included stumping and stripping of loam, blasting, common excavation, site grading, material processing on-site (crushing of select gravels to make road base material) paving and more. 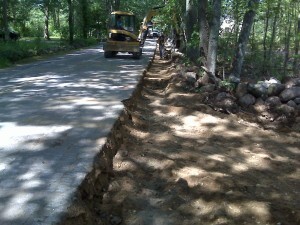 We also will handle all inspections as the project moves ahead, making your life easier. 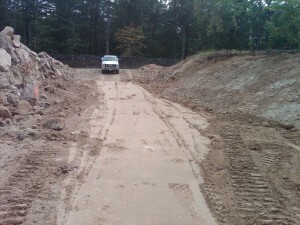 New road cut at Twitchell’s Way in Sandown, NH. 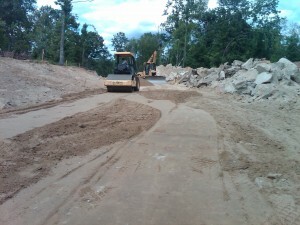 7,000 cubic yards of ledge had to be blasted and moved in order to get this 8-10′ cut down to grade.